Harnessing the power of visual media to tell stories, Jenny works to create films that will act as tipping points in conservation campaigns. 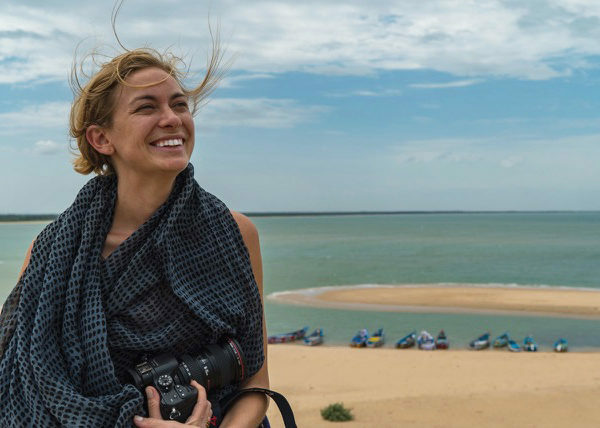 Jenny thrives on multidisciplinary projects and continues to collaborate with a dedicated community of photojournalists, filmmakers, writers, illustrators, scientists and conservation organizations. Jenny’s films have screened at HotDocs, Seattle International Film Festival, Brooklyn Film Festival, Telluride Mountainfilm, Banff Mountainfilm Festival, DC Environmental Film Festival, Jackson Hole Science & Media Awards, and many more! Wildlife Conservation Network, Leonardo DiCaprio Foundation, Sea Legacy, Lion Recovery Fund, Elephant Crisis Fund, World Wildlife Fund, Yale School of Forestry, National Geographic, New York Magazine, SONY, Patagonia, Exposure Labs, The Wild Foundation, The International League of Conservation Photographers, Conservation International, American Rivers, One Tree Planted, Cristina Mittermeier Photography, Paul Nicklen Photography, David Doubilet and Jen Hayes Undersea Images, Peter McBride Photography, Outdoor Photographer, Digital Photo Magazine among many others.